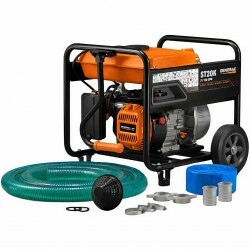 Use our commercial grade gas powered water pumps for water removal of pools, spas and flooded areas. Free Shipping on all orders! It's ideal for your toughest applications. With features such as low-oil shut down to protect the engine from damage, it's both durable and easy to use.